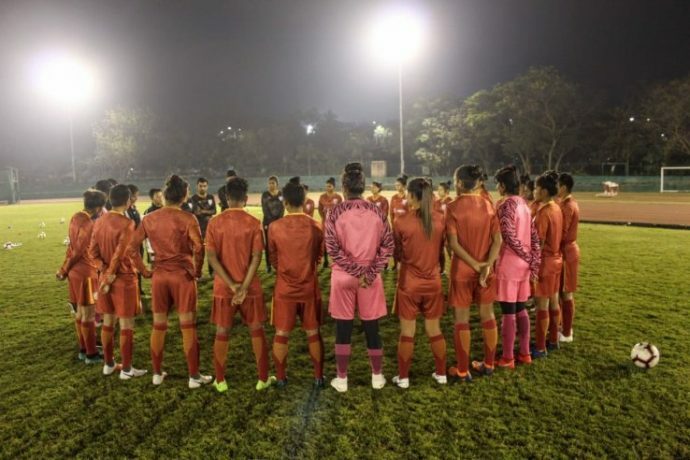 Legendary Women’s footballer Bembem Devi feels the “roadmap to the Olympic Qualifiers couldn’t have been better planned” for the Indian Senior Women’s Team. In an AIFF Media interview, she couldn’t hide her excitement over the Hero Gold Cup, the first-ever International Tournament for Women’s in India, while speaking at length about the favourites for the tournament, about “Football not being for the faint hearted,” the current team, and much more. The Hero Gold Cup is being held in Bhubaneswar. What’s your initial reaction? An International tournament for the Senior Women’s Team in India is something which is the perfect step for women’s Football in India. I am very excited as it will provide the girls the exposure which they require, along with valuable match timing against powerful teams like Myanmar and Iran. All of that will add to the confidence. Attribute all of that to perfect planning. The roadmap to the Olympic Qualifiers couldn’t have been better planned. The last four matches gave the girls a taste of International Football, that too playing in a tight schedule which is always the case in AFC tournaments. Now as they move on to play in the Hero Gold Cup, I feel it will make them realise the challenges of playing against versatile teams. The Olympic Qualifiers are around the corner, and you couldn’t have expected a better preparation. Football has changed drastically. You cannot wait for your turn to get a call into the Camp and then start to prepare. If you are a serious footballer, you need to maintain your fitness all throughout the year. You need to train hard, hit the gym, rest well, and most importantly take care of what you eat. Women’s football is not for the faint hearted. You need to be as fit as the boys. Nowadays, players can always discuss with the Coach(es) and also the trainers. It’s wrong to predict teams in Football but on paper, Myanmar appear strongest. I was in Mandalay recently for an Indo-Myanmar Friendly match organised by the Government of Manipur and they were all very excited. The touches of their players was so exquisite. I feel they are the favourites. With so much happening in Women’s Football in India, do you miss being a player? (Smiles). Not really as I am enjoying my coaching stint. I have played over 20 years and my heart is full. It’s time to pass on my experience to the juniors, and allow others to carry on the mantle.